According to reporting from the Center on Crime and Justice at John Jay College, new research has demonstrated that jury trials are becoming far less common in criminal cases. 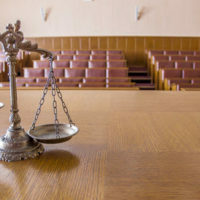 In a recent study, the National Association of Criminal Defense Lawyers (NACDL) found that only three percent of criminal cases go before a jury. This is a dramatic decline when compared to the recent past: only three decades ago nearly 20 percent of all criminal defendants received a jury trial. The right to a trial is a foundational part of our criminal justice system. It is a right that every defendant should be able to remain confident that they can access in a fair and just manner. Unfortunately, the reduction in jury trials is a worrying sign. Here, our Miami criminal defense attorneys explain why this trend is cause for serious concern. Researchers believe that the primary driving factor behind the decline of jury trials is the immense pressure that prosecutors can put on defendants to plead guilty. In essence, there is a belief that there is a ‘de facto’ trial penalty in many different jurisdictions. This means that prosecutors tend to charge many criminal cases in an aggressive manner. From there, they work towards offering a somewhat reduced plea agreement. If the defendant chooses to seek a jury trial, the prosecutors may attempt to impose the harshest penalties should the defendant lose the case. This type of system creates a bias against defendants. Sometimes people feel pressure to plead guilty to a crime that they did not even commit. This is simply not fair. In too many cases, the reasonable doubt standard is removed from the criminal justice process. Instead of focusing on proving the case, prosecutors focus their energy on bringing harsh charges and attempting to secure a conviction through a guilty plea. You should never be pressured into pleading guilty to a crime that you did not commit, If you have been arrested for any type of criminal offense in South Florida, it is imperative that you have a strong legal advocate on your side. Your Miami criminal defense attorney will be able to review the specific circumstances of your case in order to determine what exactly needs to be done to protect your rights. Certainly, there are cases in which the best option is to accept a plea agreement from the prosecution. However, there are also cases in which it makes sense to seek a jury trial. Any person who has been arrested and charged with a crime deserves a chance to clear their good name. At Ratzan & Faccidomo, LLC, our Florida criminal defense attorneys are proud to be strong advocates for our clients. If you or a family member was arrested in Florida, please do not hesitate to contact our law firm for a fully confidential initial consultation. With an office in Miami, we represent defendants all over Southeastern Florida.